I don't think I even had this much fun while writing Jane--which is saying something cause I had a blast with that one, too. Oh! 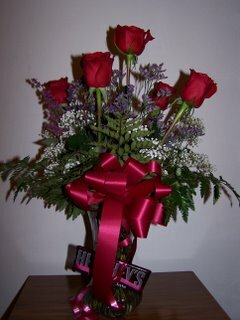 & as a reminder, if you haven't entered my roses for a year contest, get over to www.janicelynn.net super quick & click on contest. Tomorrow is the last day to enter! I really like this pic!!! Woo hoo!!! My pal Gemma Halliday got the cover for her first book!! Check it out!! It's totally awesome---which is a good thing because so is her book! 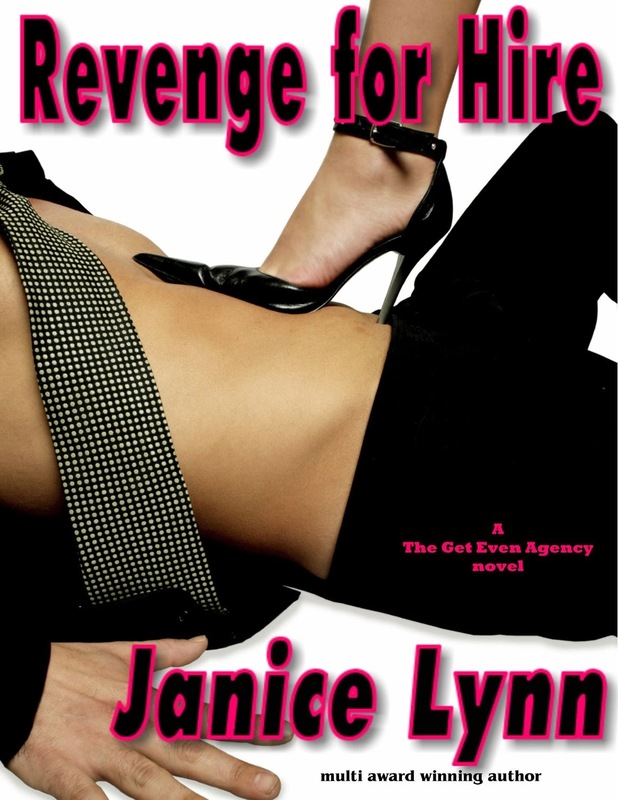 If you like Janet Evanovich, you are going to LOVE Gemma Halliday. 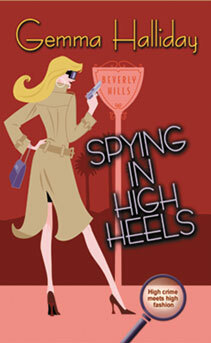 Spying In High Heels is an August 2006 release & will be in stores all over. It's a Dorchester release (what a great publishing company, eh??? :) and is getting rave reviews!!! I have read it and can tell you it is totally awesome!!! Round 3 Voting started today. Youch. Flavia was a bit brutal, but then, that's her job. I kept having to remind myself of that last year when it was JANE MILLIONAIRE being picked apart and I hope all this year's finalist know that as well. I really can't complain about Flavia though. She wasn't too bad to me except in Round 4 & we won't even go there as I still have nightmares about her comment. Well, I did prior to getting my reviews of JANE MILLIONAIRE. Now, I'm pretty much okay with it. 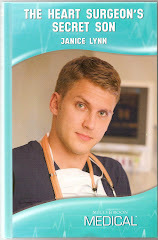 So far, Jane has gotten fabulous reviews and I've recieved some wonderful fan emails. Even a few by mail. I've heard several published authors say that they don't even bother reading their reviews any more. I'm definitely not to that point, but I do have to say that I don't get quite as freaked out as I did to begin with. Of course, when book 2 gets ready to be released it will probably be a different story all together. Now, if you haven't voted in round 3, be sure to get over to www.americantitle2.com which will take you directly to where you can vote or go to www.romantictimes.com and follow the American Title links. These gals are competing for their life dream---to be published. Make sure you help one of them acheive that dream. There are some awesome sounding stories there that I can't wait to read more on!!! For anyone who has read JANE MILLIONAIRE, you'll have picked up on the rose theme. There's a rose on the cover and Rob smells roses everytime Jill is near and well, you get the idea. Quite frequently when I autograph a book I'll write "May your life be filled with roses". & I mean each word. There's something about roses that embodies love and happiness and good feelings on the inside, ya know? I believe this so much that I'm giving away (at my own expense mind you) roses every month for a year. You have until January 31st at midnight eastern time to enter as the drawing is on February 1st. Make sure you're entered. Okay, I digress from the purpose of this post. Today, I got 6 beautiful red roses delivered to the office. Getting roses at work is one of those "wow" moments where everyone wonders what you did special last night (or will be doing that night!) or what bad thing your man did. David is a great man & very rarely does bad (yes, he occassionally does--after all, he is a man. ;) & I knew what I had and had not done, so I was thrown. I was really thrown when I opened the card and it wasn't from him. Yeah, I know what you're thinking. Matthew's worried about all these Jude pictures and thought he'd better do something about it before I converted forever, so he sent the flowers in hopes of wooing me away from my temporary Jude fascination. Or maybe you thought Jude was so HAPPY to be the focus of my attentions that he sent them in hopes that once I went Jude I'd never go back....Nice thoughts. Alas, it was even better than the above. The flowers were from a marvelous lady who read Jane Millionaire & thought it was "wonderful". She added roses to my life and gave me a wonderful smile and a wonderful surprise. How cool is that????? Oh, & did I mention the chocolate bar tied to the side of the vase???? YUM. Roses and chocolate! Woo hoo!! Thank you so much for your thoughtfulness, Patricia! You really brightened my day & it's a pleasure knowing you. 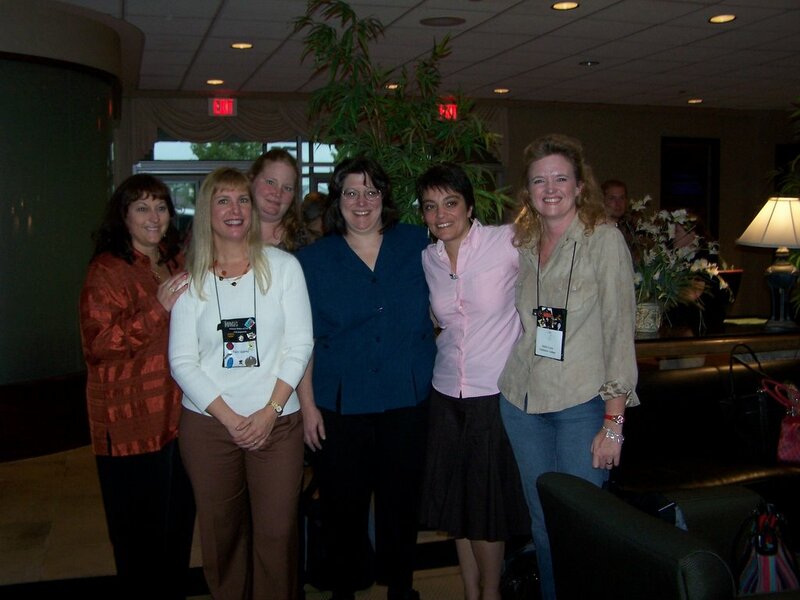 Got to have lunch with Trish Milburn, Stephanie, Kendra Clark, and several other fabulous authors today. Wow! I had my booksigning at Curves tonight. It was awesome. I sold 33 books. & not a single one was to my mom or any other family member ;) Woo hoo!!!!! Gotta love that. :) & it was so much fun. The owner is a total sweetheart and the staff were so great & the ladies who came to exercise and buy a book---fabulous! Can't wait to do it again with the next book. On my drive to the office this morning, my tire blew out. No warning. Not an old tire. It just blew. My husband said that it looks like I must have run over something, but who knows? I was going about 50-55 mph and it was my front driver tire. I got pulled off to the side of the road, drove a hundred feet with a flat flat and pulled into an auto salvage business. My husband thinks perhaps I hit a piece of scrap metal that fell from a truck or something? Anyway, I was lucky. First off, I didn't over compensate, which is how most people wreck via a blowout. They jerk/overcompensate and then lose control of the vehicle. Not sure why I didn't, but when it happened I kept a cool head. I was on the phone even---scared my friend badly. Second, the weather was gorgeous. If you're going to have a tire blow-out, I highly recommend a day when the sun is shining. Third, blowing a tire in front of an auto salvage business can come in handy since there's guys who know their way around vehicles. Fourth, have blow out when there is no oncoming traffic and no one behind you. However, when I called the office to say that 1.) I was going to be late. 2.) My tire was flat. The guy who runs our lab came to my rescue. Did I mention that I also highly recommend that if you're going to blow your tire, do so less than 2 miles from where you work. Makes things much simpler that way. Anyway, a real life hero came to my rescue, changed my tire, which turned out to be quite the dirty job---Something I don't recommend: Parking over a mudpuddle. Yes, we had snow on the ground yesterday morning so there was standing water today. By the time he and I got back to the office, he had mud on him and black on his hands and face. Moi? Oh yeah. Despite the fact that I did very little, I had black on my hands and face too. I decided that I was going for the hardworking look--you know like the rice crispie treat commercial where the lady throws flour on her face? Yeah, that's me, the hardworking mechanic fearlessly changing a flat and getting black smudge on my face. The funny thing is, my dad made me learn to change a tire before he'd let me drive alone. Which I always thought was a brilliant thing to do and that I'll make all my kids learn as well. I know how to change a tire by myself---so why did I have to have a man come to my rescue? Well, beyond the obvious. ;) Let's just say that mechanices stick those lugnuts on with air guns and I couldn't get the suckers off if I'd had to. Oh, and did I mention that I couldn't even find the spare until I pulled the owners manual out? Seems that with every new vehicle you should practice such things. Anyway, I know that I had an angel watching out for me today. Had to have for something that could have been so bad to have turned out without any permanent damage--except to the tire. So tonight I'm sending out a special thank you to that angel and to my fabo co-worker who is a true gentlemen and a real life hero. THANK YOU. The Law of Jude shall continue until I finish this book. 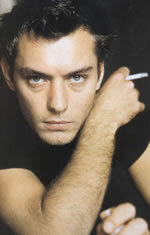 Okay, I am still totally a Matthew girl, but ever since I watched Cold Mountain, I've been a Jude fan too. 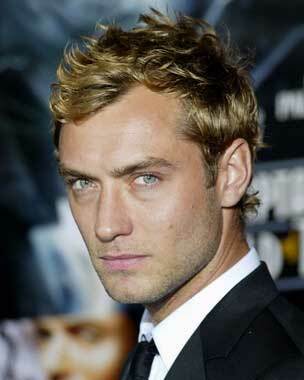 I honestly didn't know what he even looked like much less that he'd been "Sexiest Man Alive" in 2004. Yeah, yeah, I know. I live under a rock. Anyway, in my new book, my hero's name is---yeah, you guessed it---Jude. OMG! This book is a hoot to write. I mean, I have this gorgeous hero with the most amazing eyes & he's a total bad boy....okay, so I'm going off on a tangent and I'm hearing all these gasps of "What about Matthew??" 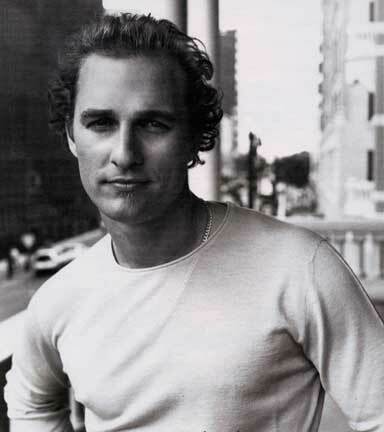 Don't worry, I still adore Matthew, but let's just say I'm having a little short fling while writing this book. 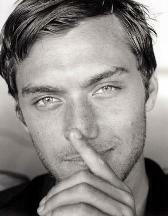 ;) Shhhhh, nobody tell my hubby or Matthew that a new man has entered the world of my fantasies. You know, I really do blame this on the sucky ending to Cold Mountain. (fabulous movie, sucky, sucky, sucky ending.) I lay awake that night rewriting that ending a hundred different ways. Yes, I know it's the romantic in me. Add that I'm a romance novelist on top of that and it just makes sense that I couldn't let that be the end of the story in my head. No, I haven't dipped into the historical market, just writing my own version of Jude. Only I think in my story, his character is a bit more true to life. 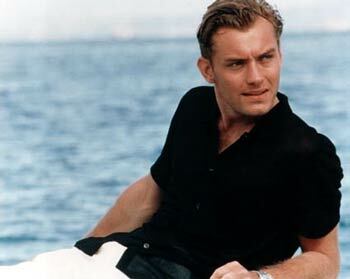 A total scoundrel that we women adore anyway. Ah, the proverbial bad boy we want to tame---or be bad with. ;) Oh yeah baby!! You got it. I'm doing my second book signing this Friday night (January 20th) at Curves in McMinnville, TN from 4 to 6 PM. I'd love to see you so if you're in the neighborhood, please do drop by for a visit and an autographed copy of JANE MILLIONAIRE. Oh, and for those of you interested in the Sexiest Man Alive, his movie Two for the Money is available on DVD tomorrow!! Woo hoo!!! A writing pal of mine is celebrating the release of her first book. It's an e-book. I've not read the entire story, but I did read the beginning many moons ago while she was writing the story and I can tell you it's a really cool concept. ivory-skinned goddess. Will he be able to give up eternal peace for love? I knew he had to have one. I mean, all men do. But this one really...shocked me. Okay, so I mentioned that I bought the issue of People's Magazine. The 20 Years of the Sexiest Man Alive one. Well, there's all kinds of interesting stuff about the guys. 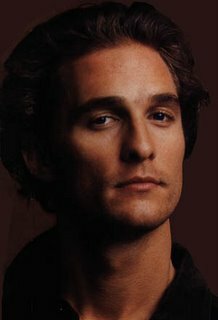 According to one of the statements made Matthew hasn't worn deoderant in over 20 years. I adore the man, really I do. But I won't lie, I had a brief ICK! moment before I remembered that I was thinking about Matthew. So what's a little sweat between me and those abs? No biggie. Asked to do an online workshop! Woo hoo! I got asked to give my workshop on Promotion to a different group next January. & check this out! I'll get paid! How cool is that?????? This go around is volunteer for a chapter I belong to and I'm learning a lot, too, since it's the first time I've done an online workshop. I've done several in person at conferences & chapter meetings, but this is the first for this. I've enjoyed it. I had a tele-conference with my fabulous agent today. It went really well and we're getting ready to start submitting my stuff soon. Other than to my Dorchester editor and another editor who now has three of my mss & called me on one with revision requests (so keep your fingers crossed), we've not submitted anything. That's all fixing to change as we gear up to take on 2006 and make it a fabulous year. Plus, I just finished a proposal for a new contemporary that I can't wait to write. It's an absolute hoot and something I can just have a blast with while writing. Can you tell that I like to have fun with my writing? Anyway, I can't say more on it at the moment, but keep your fingers & toes crossed on that one cause I'm dreaming big with this one. Every day is a treasure although sometimes we get caughtup in day to day routines and don't take the time to count our blessings, so-to-speak. Today, I'm going to count some of my blessings/things I treasure. 1. The fact that I have health insurance. In the office today, about a 3rd of my patients had no health care coverage. 2. That I spoke with a friend from high school on the phone for the first time in over 5 years. No arguments or fights, just life pulling us in different directions to where time slipped away. 3. That I spoke with a writer friend who always makes me smile with her wit and joyous personality. 4. The fact that my children are (knock on wood) healthy. 5. The fact that my husband loves me, goes to work every day, comes home every night, and did I mention, loves me? 6. The fact that I have a job. Not always the easiest, best, or most joyous, but I have a job that I enjoy most of the time and can pay my bills. Anyway, that's a few of my Tuesday treasures that I thought I'd share with you. :) Hope your Tuesday was filled with a great many treasures, too. Well, the workshop has started. So far, so good. :) At least, I think so. Researching an article on Scleraderma for the www.wetnoodleposse.com e-zine. Scleraderma is what fellow Golden Heart finalist Maryanne Cappelluti died from. It'll be posted there in February. Polishing up a new proposal that I plan to send to my agent on Wednesday unless she thinks I'm insane. ;) Which is entirely possible because this new idea is a bit out there, but I'm having a hoot with it. A close friend got a reject from NAL today. 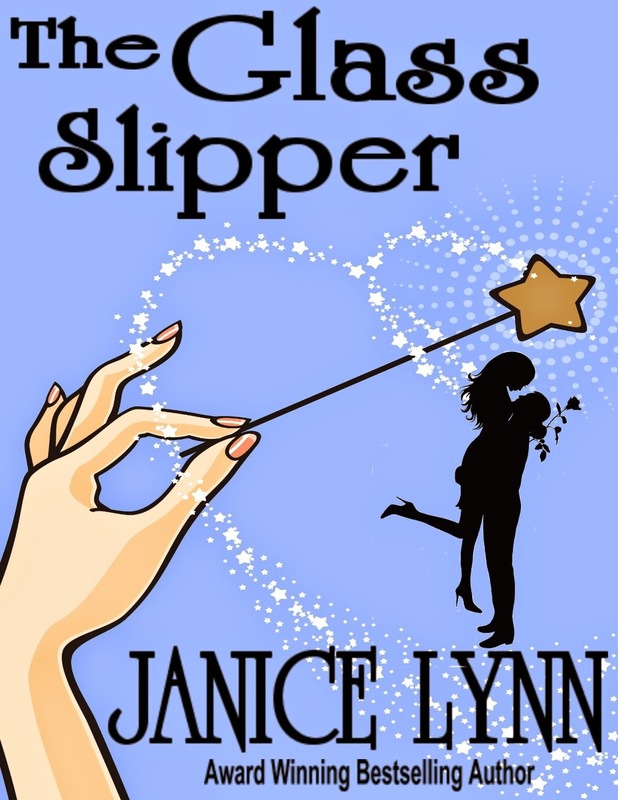 She's so talented and the story that got rejected totally rocks. Sometimes this business is so frustrating. Of course, I called and sang "Happy Birthday" to her and she died laughing---I'm only 11 months ahead of schedule. ;) But she laughed so it was soooo worth it. On a happy note, my pal, Renee Luke, sold to NAL!!!! Very cool!!! My oldest son has decided he wants to be a WWE wrestler...oh man. Enough said. Wow. Where has this weekend gone? It seems like it's barely started and yet it's almost gone. Sigh. I didn't get nearly everything done that I wanted to, but such is life. I did accomplish a lot though. I did an online interview, wrote an article on the American Title Contest that will be included in a literary University publication called The Trunk that is available at places like the Paris, France bookstore Shakespeare and Company. How cool is that??? I also finalized/polished up my workshop on Promotion. In the morning I start teaching my first online writers workshop. Hopefully, things will go well. On a very sad note, Maryanne Cappelluti who finaled in the 2003 Golden Heart short contemporary contest with me, died. She was so young and had two children. In my office, I have a poster of the Short Contemporary finalists and I'm in between Maryanne & Stephanie Rowe (who writes fabulous books for Dorchester & Warner & will be part of a young adult romance launch!). Anyway, that's been a sad, sad moment. 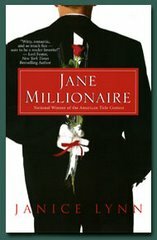 Win an Autographed copy of Jane Millionaire! 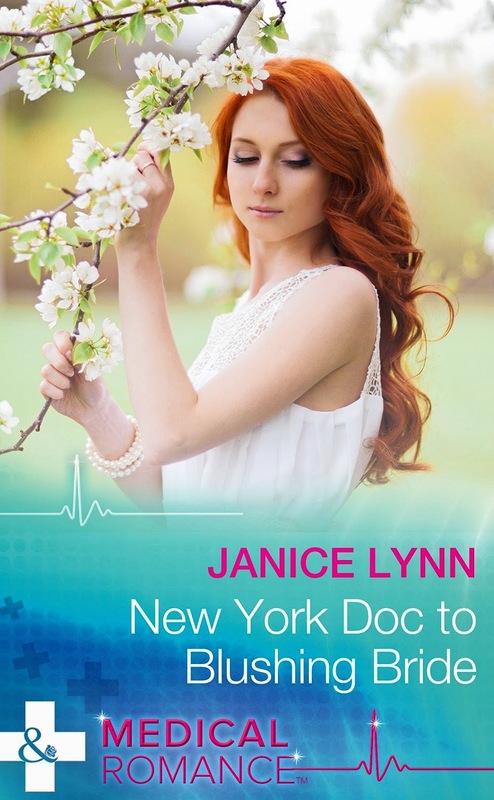 Hey guys, I'm giving away an autographed copy of Jane Millionaire over at Access Romance. All you have to do is post a response to one of the questions & you're automatically entered. Access Romance chooses the winner, but you have great odds of winning as there are only about 20 or so responses on each of the 3 questions. Y'all go post something!!! Go win a copy of my book!!!! I did it. I did it. I got a new computer! Well, I've bought one. Guess it'll be about a week or so before I actually get it, but I've ordered and paid for it!!!! So excited!!!! :) Now I'll have to think of a name. 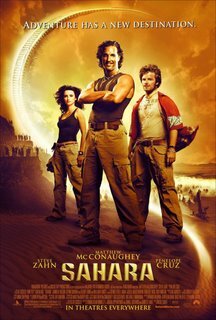 My laptop is Sahara (named after Matthew's movie!). My son suggested Krull the Warrior King....not so sure about that one. ;) Any thoughts? Doesn't it just make you cringe to think another year has come and gone? It does to me. A new year. A time of reflection over what the last year has brought into your life and what it's taken. A time to look at where you stood a year ago and where you stand today. Did you take steps in the direction you want to go? For quite a few years my most fervent dream/resolution/goal has been to sell a book. 2005 saw that dream turned into a reality. Oddly enough with a reality show based book called, drum roll please because I *know* y'all haven't heard this before, Jane Millionaire, when I won the first ever American Title contest in April. 2005 saw the addition of many new friends and acquaintances to my life and also older friendships that grew richer and stronger. 2005 saw the death of a beloved patient who'd been fighting cancer for several years and lost the battle in September. 2005 saw my parents enter a new phase of life when my dad retired in May. 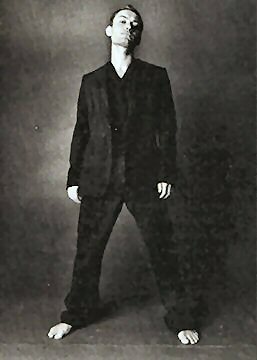 2005 saw me learn new skills and step outside my comfort zone as I struggled with learning the ins and outs of promotion. 2005 saw me come out of the closet about my writing during the AT contest and much more so when a state-wide magazine ran a 3 page color feature on me and the contest. 2005 saw my husband and I celebrate our 15th wedding anniversary. 2005 saw twenty pounds attach itself to my hind-end and saw me work to shoo it away. I could go on and on, but the point is, it's all in the past. Come and gone and where am I now, at this point? I'm starting over. Starting a fresh year with a clean slate and I can refocus on the things that didn't go as planned for 2005 and set new goals for 2006. My CP sent me a paper weight that is says my theme for the year 2006. You'll hear me repeat it from time to time during the year. Go confidently into the direction of your dreams! Live the life you always imagined. Thoreau. All my goals for this year are going to center around this one statement. I'm still making my list, so it's not something I'll post at this time. Perhaps soon. Perhaps not. What really matters is the goals you set for yourself. Are you going confidently in the direction of your dreams? Are you living the life you always imagined? If not, why not? & what can you do to start taking those confident steps in the direction of those dreams? On a funner note...Perhaps someone should warn Matthew that I'm planning to go in the direction of my dreams...Matthew is quite dreamy, isn't he? ;) Making out at the 50 yard line? The water tower? Coppertone? I can do coppertone...;) Ahhhh, the dreams I'm gonna have tonight. Okay, so it's possible that my subject line is going to make you RUN for the hills, but I thought I'd share a few links to interviews I've done. 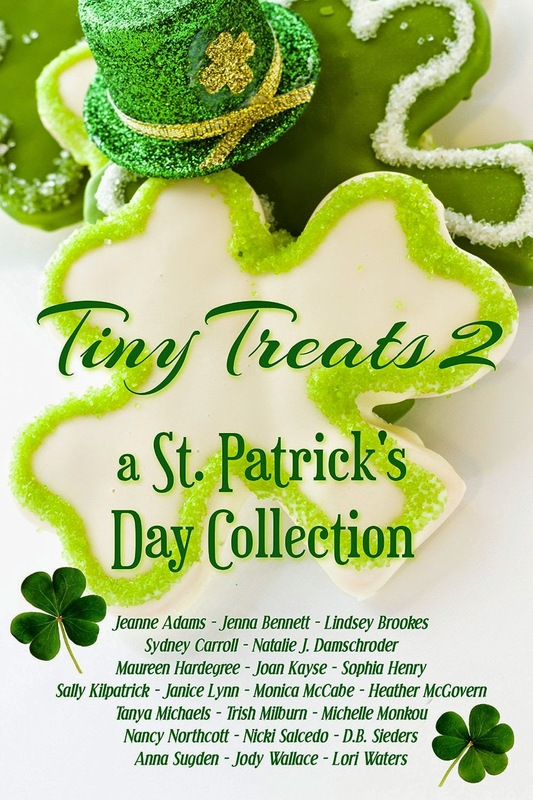 Currently, there's an interview with me up at Romance Junkies. 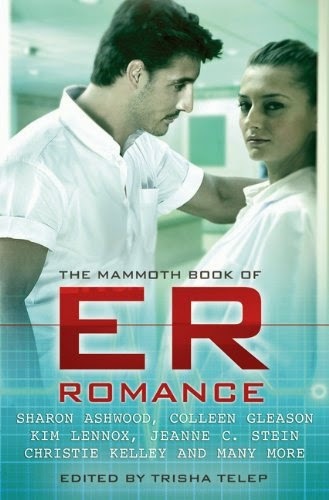 Here's a link: http://www.romancejunkies.com/artman/publish/article_4998.shtml At http://accessromance.com , I wrote the current Tell Tale and there's a couple of discussion questins and I'll be giving away a autographed copy of Jane Millionaire! & some goodies. At http://writingplayground.com/school.html#jane there's a review of Jane and you can win an autographed copy of Jane Millionaire (& Kelley St. John's Good Girls Don't!!) at their contest page. 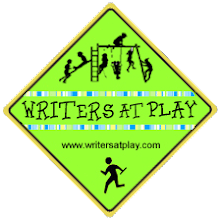 ( http://writingplayground.com/contest.html ) An interview I did with the playground girls should be posted later this month. I had a lot of fun with that one (yes, it did involve playing in the sandbox with Matthew. ;) I just finished a new interview with Love Romances but it won't go up until April, I believe. 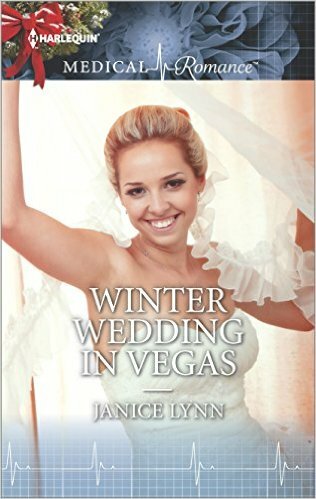 I also did several interviews with author bloggers. Stehanie Rowe, Lori Devoti, Theresa Meyers, Lisa Manuel come to mind off the top of my head, but there were a few others. I'll try to search down the links and post them at a later time for those interested. I find it fascinating how most of the interviews I've done have asked at least a couple of unique questions. Ones that caught me off guard and made me have to think. Anyway, as anyone who reads my answers can tell, I have fun with them and just go with the flow. Also, you can still download the radio interview at www.healthylife.net via the Definitely Dana show archives. In other news, my kids went back to school. Hubby & I don't go back to work until tomorrow. It was a GREAT! (Think Tony Tiger!) day. ;) Enough said. I haven't been online much today as I opted to spend time with my family to celebrate the beginning of yet another new year. It was a great day. We went to the movies and watched Narnia. I loved and highly recommend it! It's a great family movie, too. Not a single curse word in it--if there was I sure didn't catch it. All four of my kids (ranging in age from 6 to 14) loved it & my hubby did, too. Definitely a thumbs up from the Lynn household. 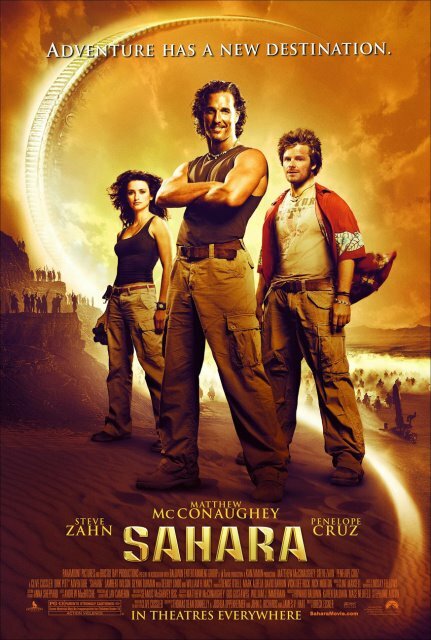 Oh, and the coolest thing about the first day of January 1, 2006? I saw Jane Millionaire in a store on a book shelf for the very first time. 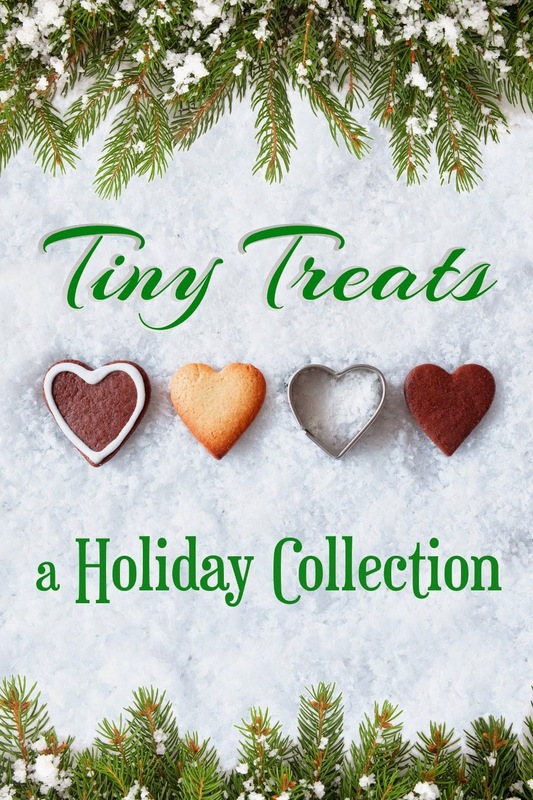 Yes, I know it's been a months since the book was released, but I've had Thanksgiving, full-time job, sick kids, sold out local bookstores, and Christmas. But today, on the very first day of a brand new year, I saw Jane on a shelf. She was in the New Release section turned face out & in the romance section turned face out times 2 books, and in the local author section. How cool is that? :) My knees felt weak and I got all giddy and I just wanted to grab people and say, "I wrote this!"